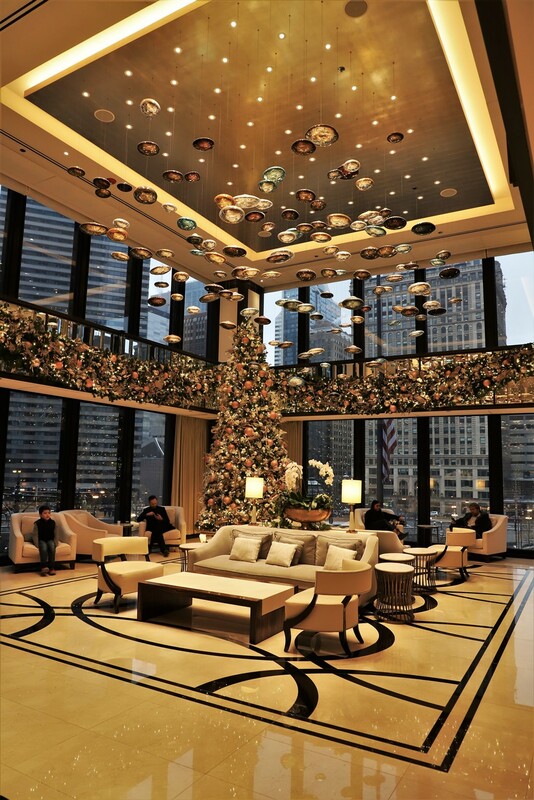 Our second Chicago Architecture Foundation tour of the day was ‘Hotel Boom – Making Old New Again’. 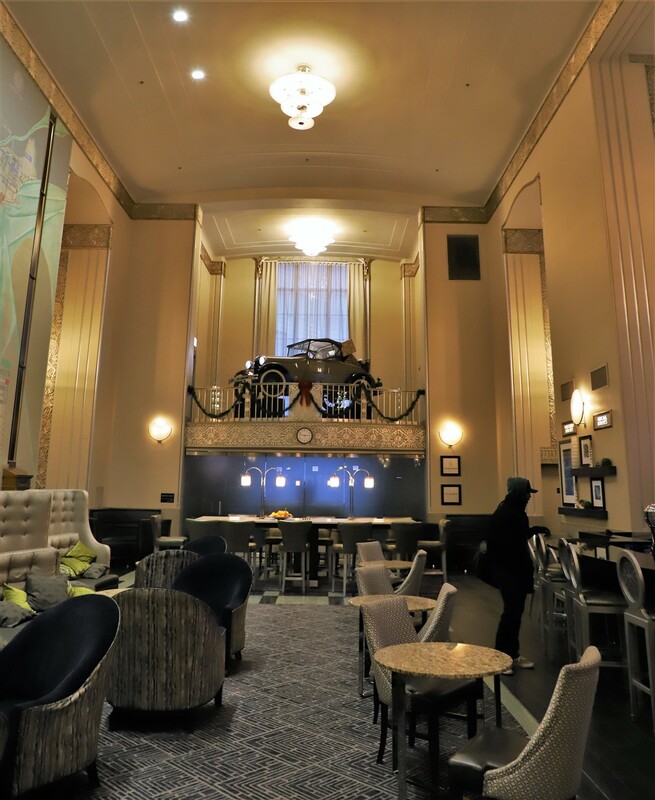 It focused on the current trend of adaptive reuse, taking old buildings that may or may not have previously been hotels, and updating them as boutique hotels. 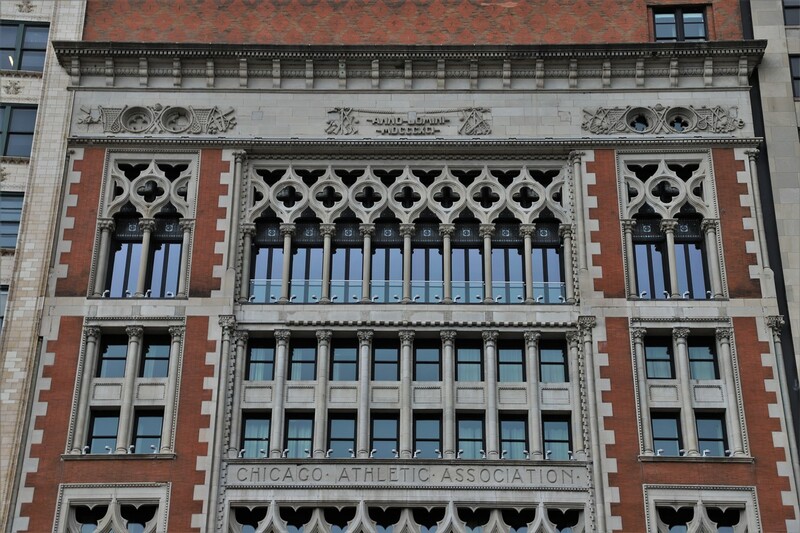 As with our first tour we headed south on Michigan Avenue, stopping across the street from the Chicago Athletic Association Building. The CAA members were the movers and shakers of Chicago in 1893 as the World’s Fair was going on. Anxious to impress their out of town visitors, they engaged Henry Ives Cobb to build them a building rivaling anything that anyone would find in the great cities of the world. One would have to agree they did! 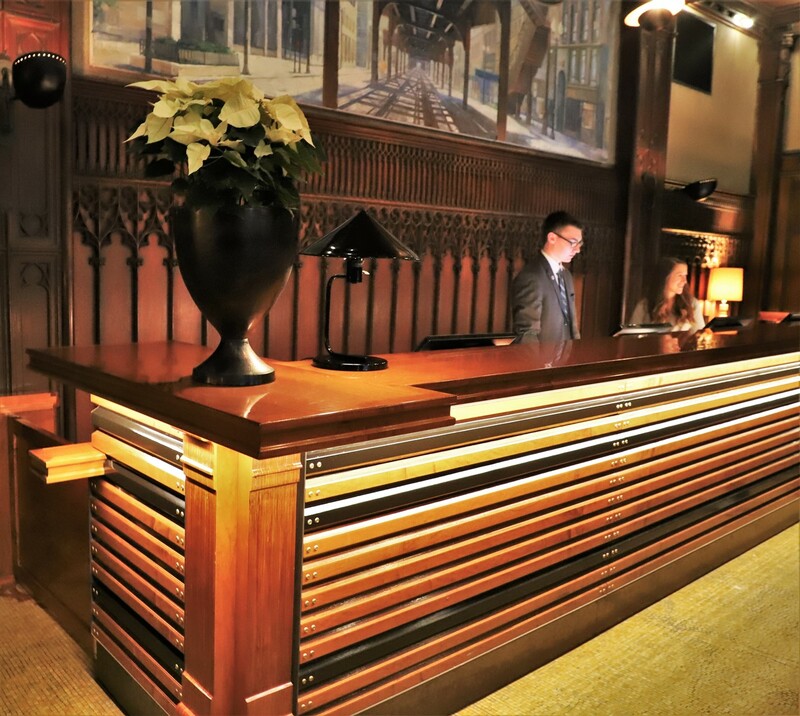 In 2015 the building was remodeled into the aforementioned boutique hotel style, as the club membership had dwindled. The results are one of function, but retaining most of the original look and feel. 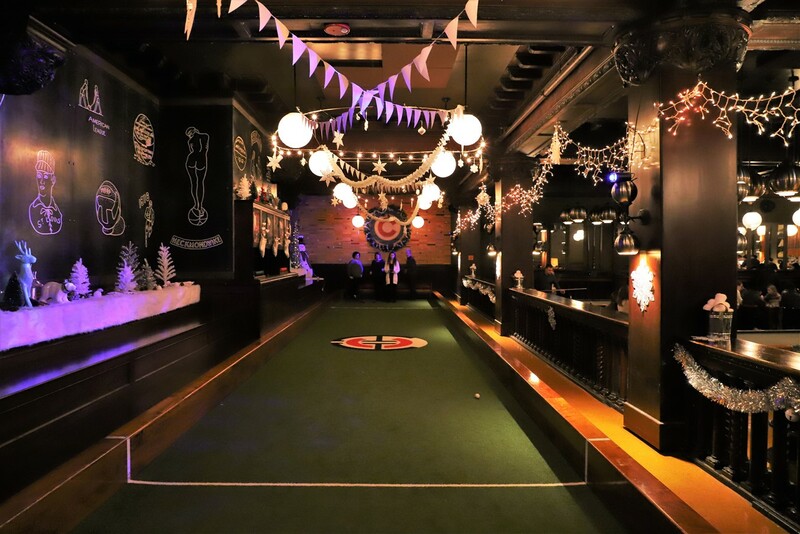 The upstairs game room features the Chicago Athletic Association logo. Look familiar – it should as the Chicago Cubs bought the rights to use it in the 1800s. As we made our way to the next stop we passed the Reliance Building. 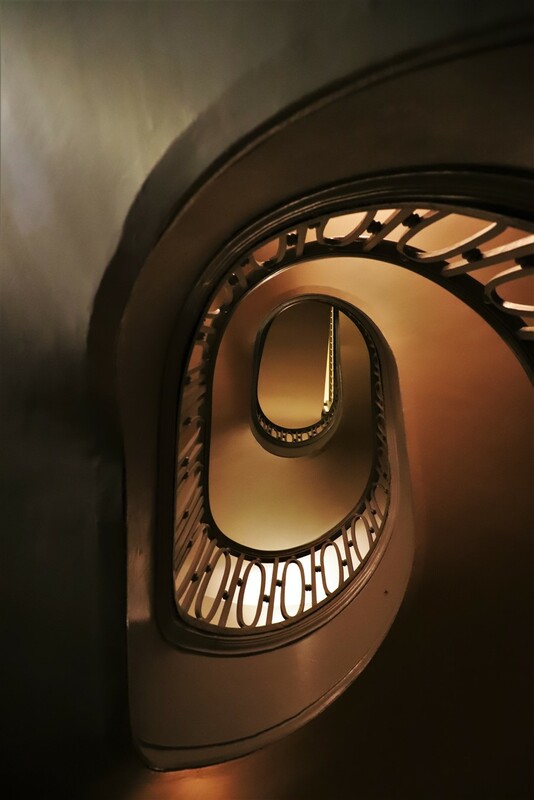 Designed by John Root in 1890 it remained a commercial property until the late 1990s when it was rehabbed into a boutique hotel. 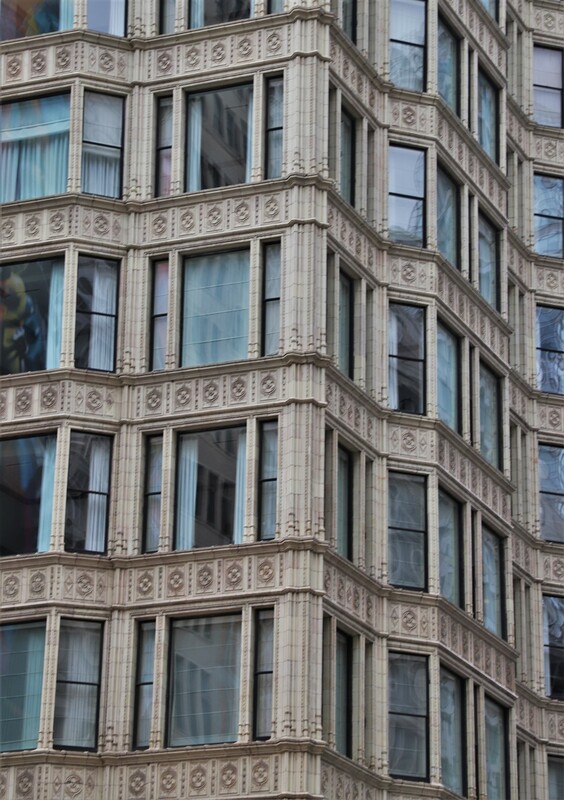 As part of the Chicago School of Architecture it has the famed bay windows throughout. 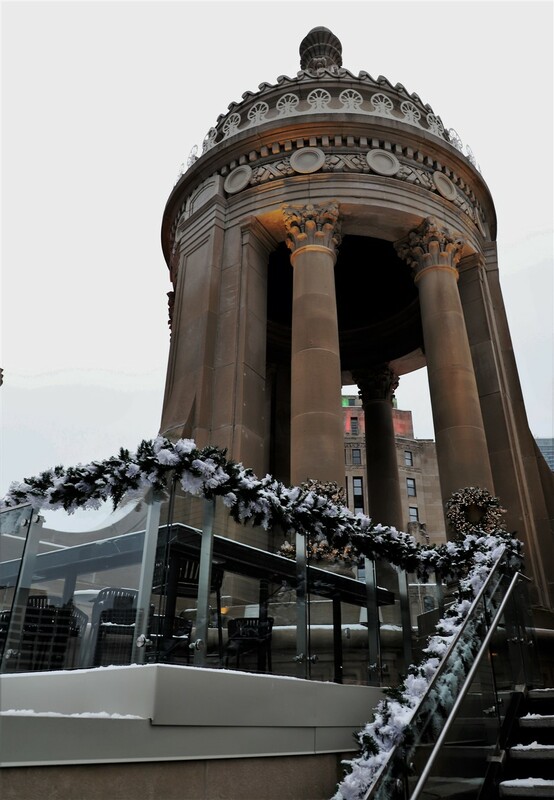 On nearby Wabash Avenue is the Silversmith Hotel, so named as it is in the restored Silversmith Building on Jeweler Row. 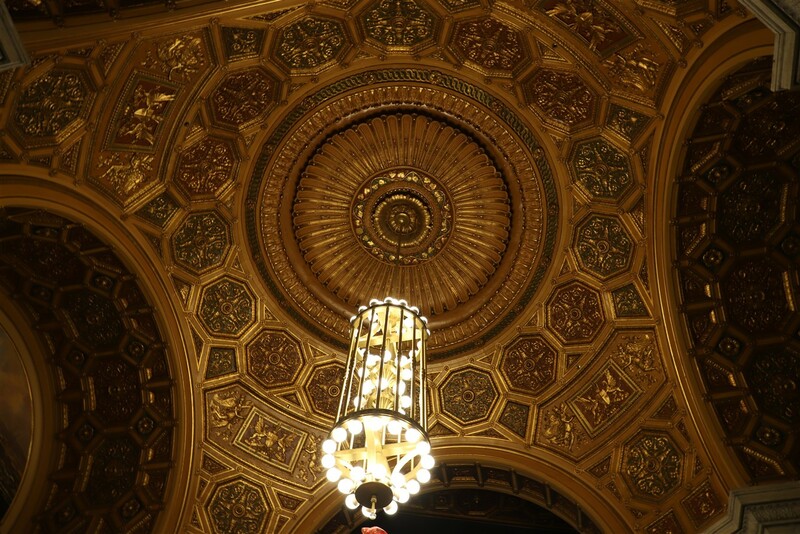 The architect, Peter Weber of the Burnham Architectural Firm, completed the design in 1896. While it is an early example of the Chicago School of Architecture, the remodel has added modern elements to it (the exterior is required to remain ‘original’ per the Historic Registry requirements). As we made our way back up Wabash we passed the Virgin Hotel Building, another re purposed building. Unfortunately we were unable to explore the interior. 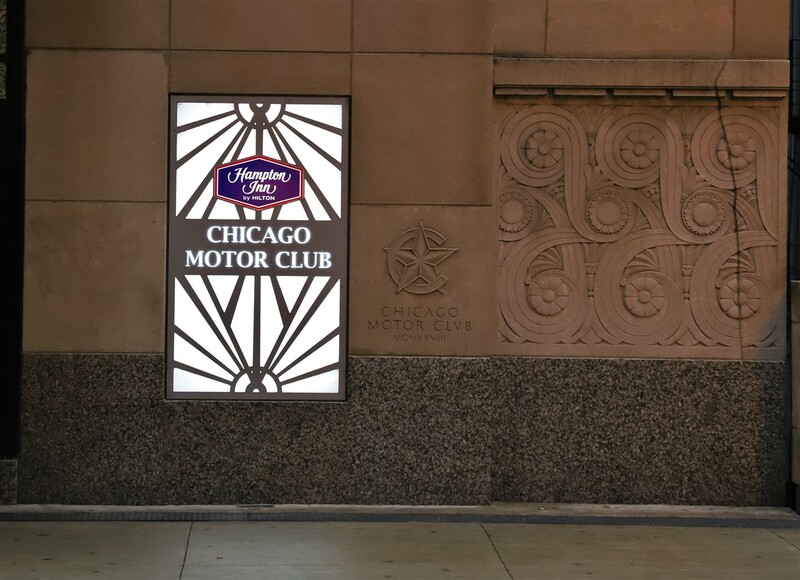 The Chicago Motor Club Building was famously designed and completed in only 265 days in 1928. 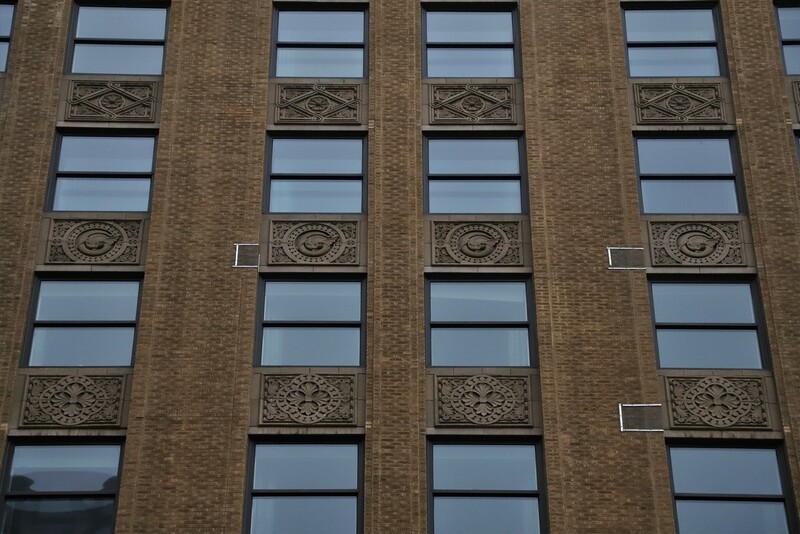 It is regarded as one of the finest Art Deco buildings in Chicago. The Motor Club used the building for office until 1986, and others used it for commercial use until 1996. It sat vacant for many years before Hampton Inn (of all corporations) restored the building into a boutique hotel. 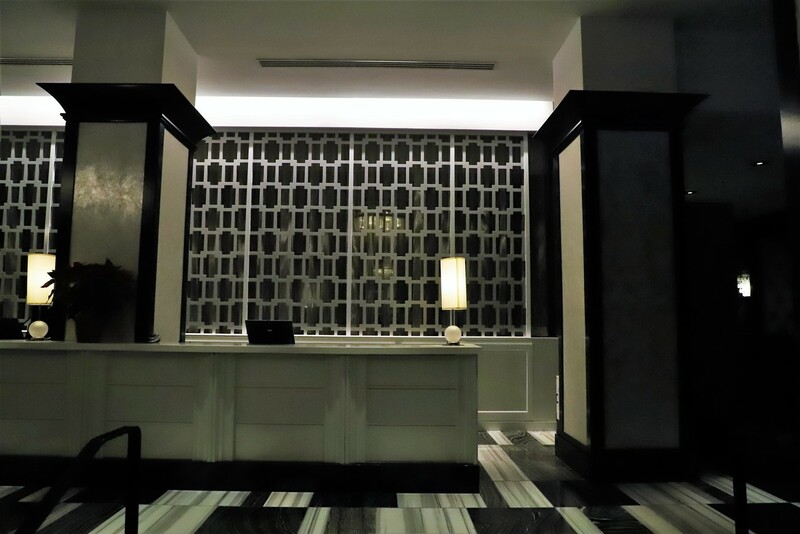 The lobby retains the Art Deco look. 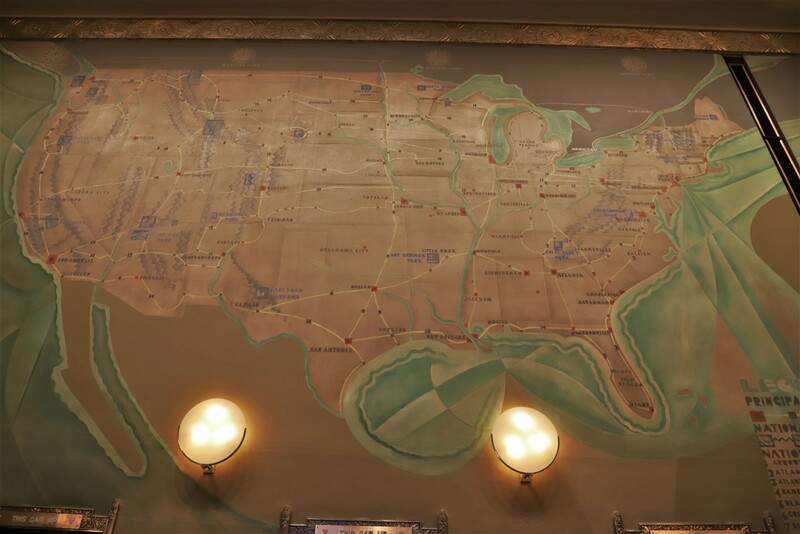 A famed 1928 mural of the United States road system adorns one wall. Since the 1926 directive to give roads numbers was not quite implemented yet, this mural still uses the historic ‘trails’ designations such as the Lincoln Highway, etc. The spiral staircase continues the Art Deco feel. For a company mostly known for small motels along freeways Hampton Inn really came through with this one. Across the river, and in a different planet from a hotel room price perspective is The Langham. 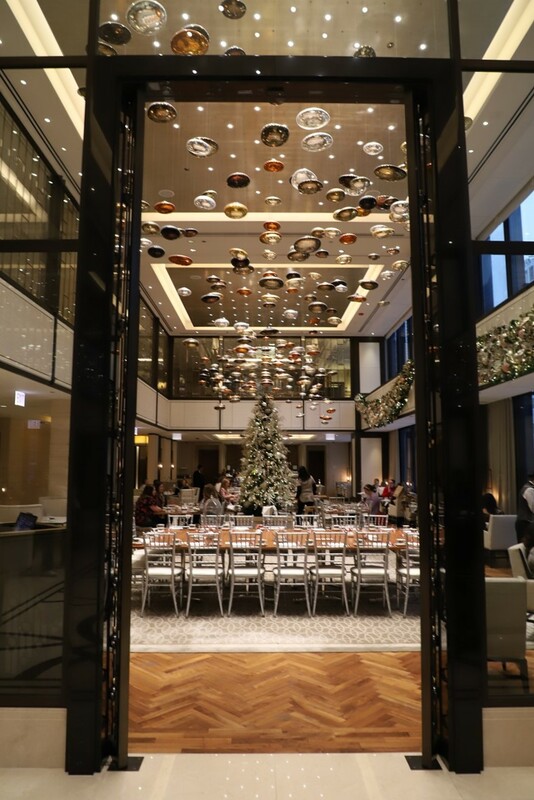 Often cited as one of Chicago’s priciest hotels, the Langham occupies a portion of the famed Ludwig Miles van der Rohe’s famed IBM Building. It has a mid century meets gaudy feel. Our final stop was the London House Hotel. 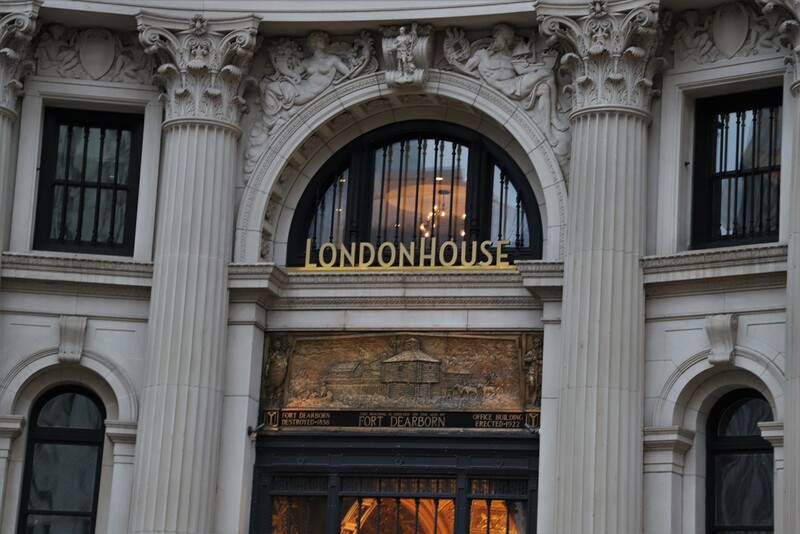 The unusual name comes from the building’s original owners, the London Guarantee Company, an insurance company. 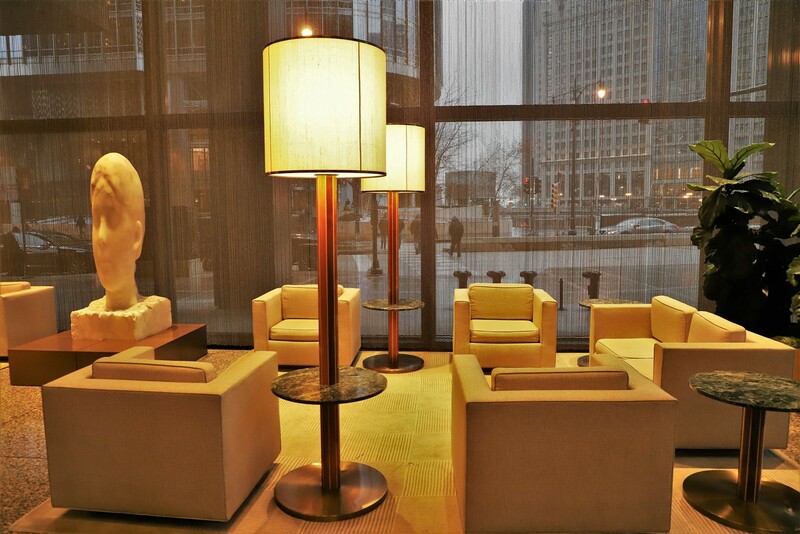 It is situated on the site of Fort Dearborn, the first settlement of any kind in what is now Chicago. As such a sculpture of the fort graces the entrance. The traditional entrance has an impressive ceiling that amazing was covered up for 50 years by a drop ceiling. The view from the 21st floor outdoor bar is fantastic. 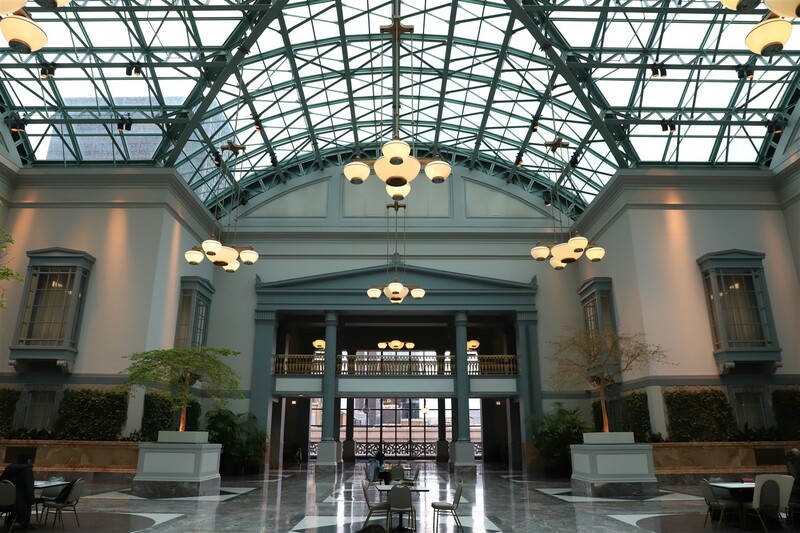 Earlier in the day, and totally unrelated to any of these posts we visited the 9th floor Winter Garden of the Harold Washington Library. It is not historic, but is cool. 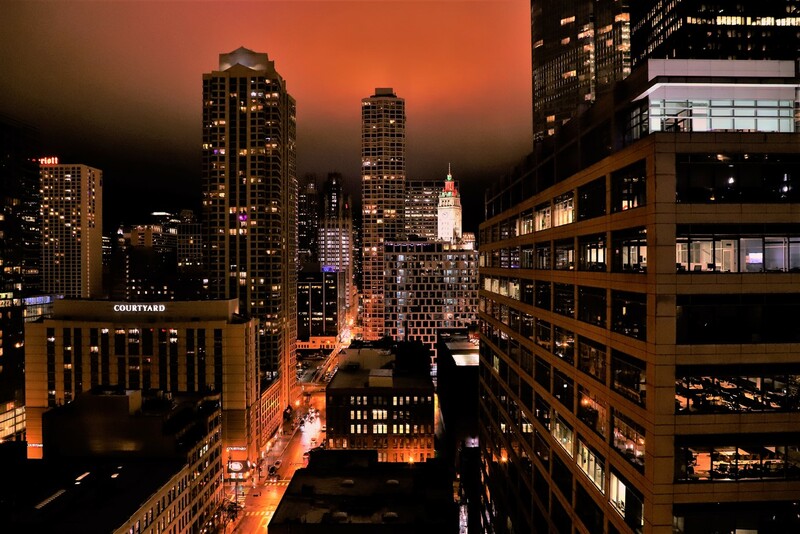 Our night ended up with our cool view from the 23rd floor of the hotel down Kinzie Street toward the Wrigley Building, Tribune Building and others. 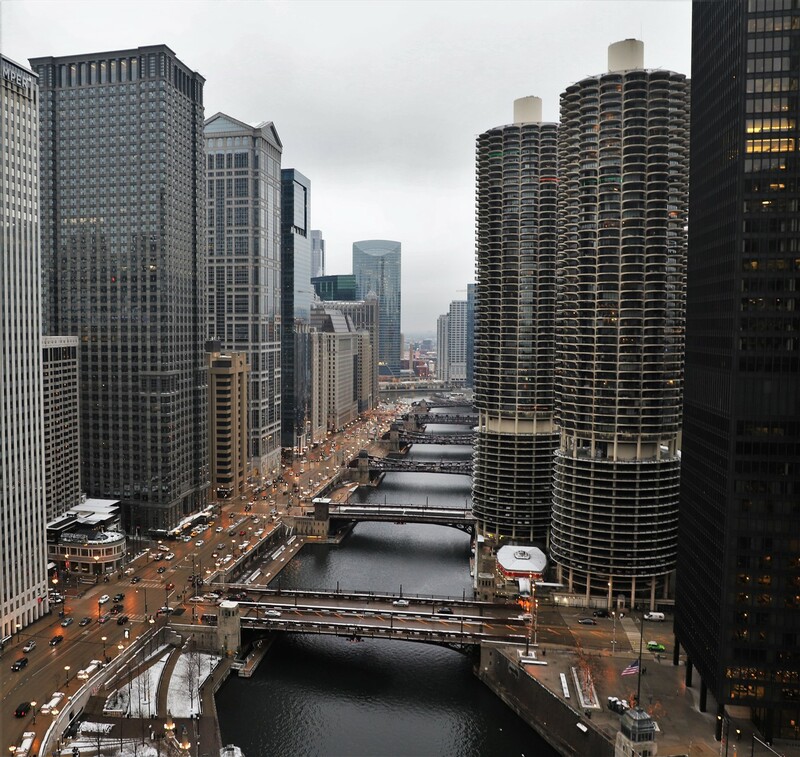 Our good luck with the Chicago Architecture Foundation tours continued. While the docents all have their unique approach, and you might pass by or go inside a building you have previously seen, you always learn something new. We are looking forward to more tours.